Mead Metals is an ISO-certified metal servicing center, supplying a full range of metal products for customers in a number of industries. In addition to a substantial metal product inventory, we offer a variety of in-house value-add services and capabilities to better serve the needs of our customers. Steel Slitting: Mead Metals offers precision narrow width steel slitting with tolerances within ± 0.005”. We can slit any metal product we offer to match your specifications. Steel Leveling/Steel Blanking: We offer steel leveling and steel blanking (cut-to-length) of pieces in 3-48” widths and 12-120” lengths. Custom sizes are also available - contact Mead Metals for details. Edging/Steel Edge Rolling and Deburring: Through steel edge rolling and deburring, we remove sharp edges and any edge imperfections that may result from metal cutting. These processes add a safety edge to your metal products. Steel edge rolling capacity: 1/2” to 10” wide. De-cambering: De-cambering services smooth out and flatten steel products. Whether metal is bowed off the coil - from processing or any other reason - de-cambering will leave it flat and square. De-cambering capacity: 1/2” to 10” wide. Shearing: By offering close tolerance shearing, we can deliver metal products to match customer project requirements. 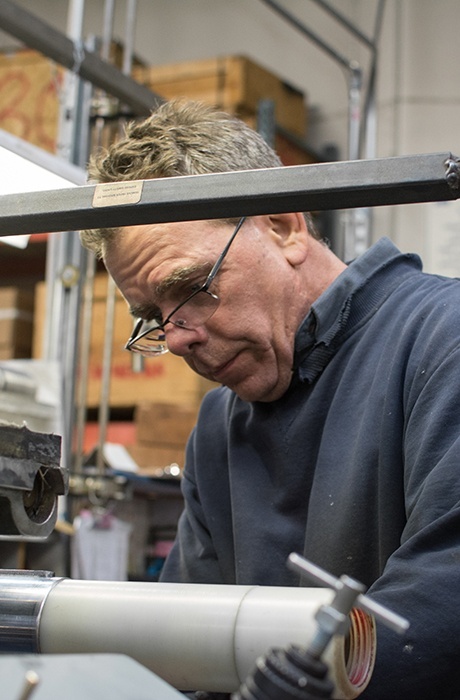 Cutting: Giving our customers precision cut parts in nearly any size, length, or shape to match their specifications is possible with our metal cutting capabilities. Milling: Available milling services include gauge correction and temper rerolling set to the customer’s exact specifications. Toll Processing: We offer the machining and metal finishing services listed above for customers who supply their own materials, as well. Nearly any metal product our customers bring to our facility can be processed with the same quality and care we put into processing our own materials. Delivery: Mead Metals delivers with out own trucks to most locations throughout the Twin Cities Metro area. Outstate Minnesota or need product elsewhere? We happily work with your preferred freight carriers, couriers, and UPS! Our experienced team and first-class processing equipment ensure that all our available services meet your exact specifications and match any tight tolerances your project requires. Contact Mead Metals today to learn more about our value-add services, metal finishing services, and capabilities.